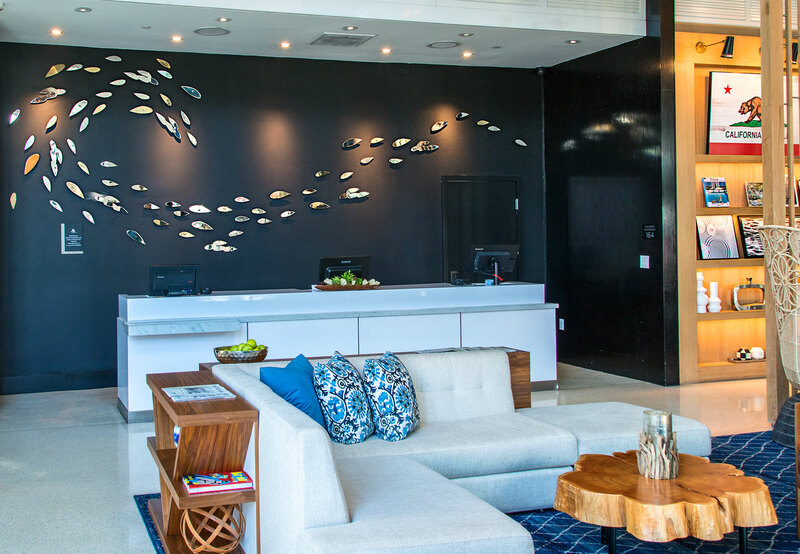 For this San Diego nautical-themed hotel, we had the privilege of designing everything from the front lobby sculpture to the guestrooms, suites and public spaces. We created and manufactured the stunning front desk wall sculpture from polished stainless steel in gold and silver. It embodies both the movement and the mood of the ocean, which is just blocks away. 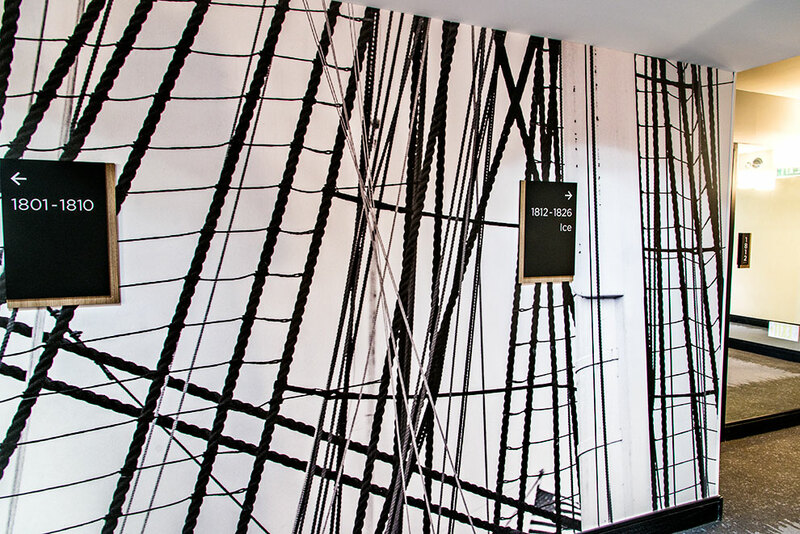 Carrying the theme throughout the hotel we created full-scale wallcoverings in the corridors, and nautical themed framed artwork in the guestrooms and suites. 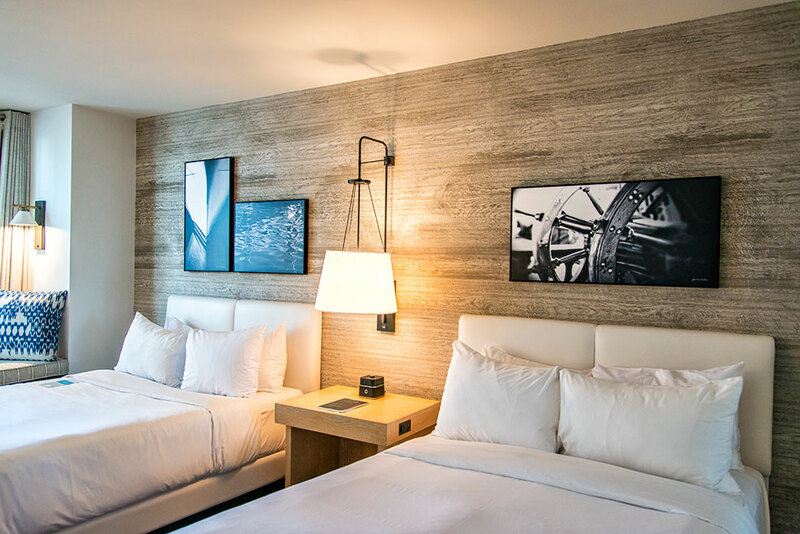 This charming space truly captures the beauty of San Diego.